I have been discovering Newfoundland and Labrador with my family for many years. It is a wonderful province with many treasures around each bend and turn in the road. This year we are on the road again and have travelled to Cow Head, Northern Peninsula to be amazed by the natural beauty and to enjoy some local hospitality. It is truly a “Great” “Northern” “Peninsula” but I will blog about this experience in my other blog later. We left today for Gander to escape the rain and cool temperatures by staying at the Hotel Gander, enroute to the East Port Peninsula. The drive was great and the conditions were fine for the most part with a smattering of rain, but the beauty of our province keet us entertained during the drive. Once settled in our room it was time to find a nice place to have dinner before heading to the pool in the hotel. We plan our tourism experience with a few things in mind, decent accommodation’s, attractions that are going to keep a 10 and 12 year old occupied and of course food. Part of the fun of travelling is finding new food establishments to try. This can be troublesome for us as a family because my wife Lisa has a allergy to MSG. Our selections have to be focused on food made from scratch and that are not in contact with the dreaded seasoning. 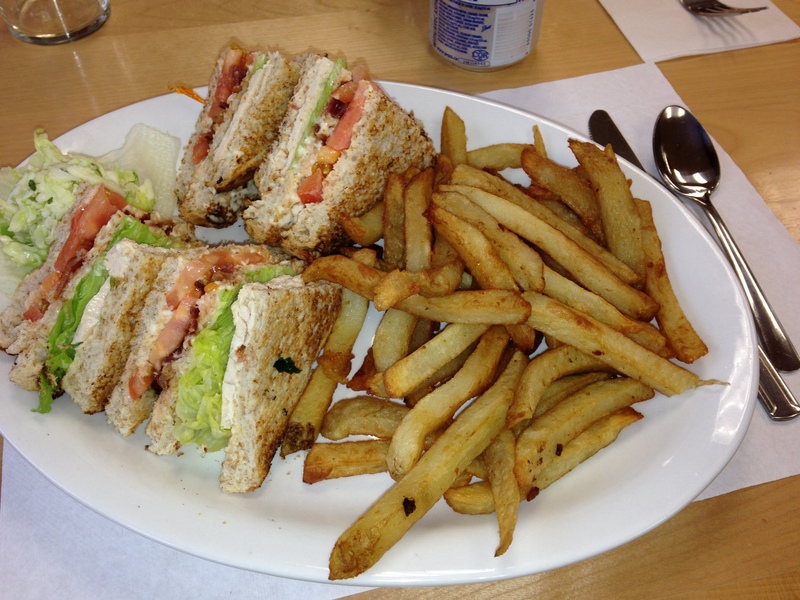 One place we were looking forward to tomorrow was Rosie’s Restaurant and Bakery , Eastport, but that is tomorrow. The ironic surprise to this story is that during tonight’s quest to find some home-style cooking in Gander we turned on Roe Avenue, drove a little and then on the left, Rosie’s Restaurant and Bakery Gander!! At first we were uncertain if it was a “real” Rosie’s or just a resto with the same name, but when we entered and saw the NL made chairs , we knew we were in for a treat. There are some places that can really deliver on good home-style cooking and Rosie’s is certainly one of them. 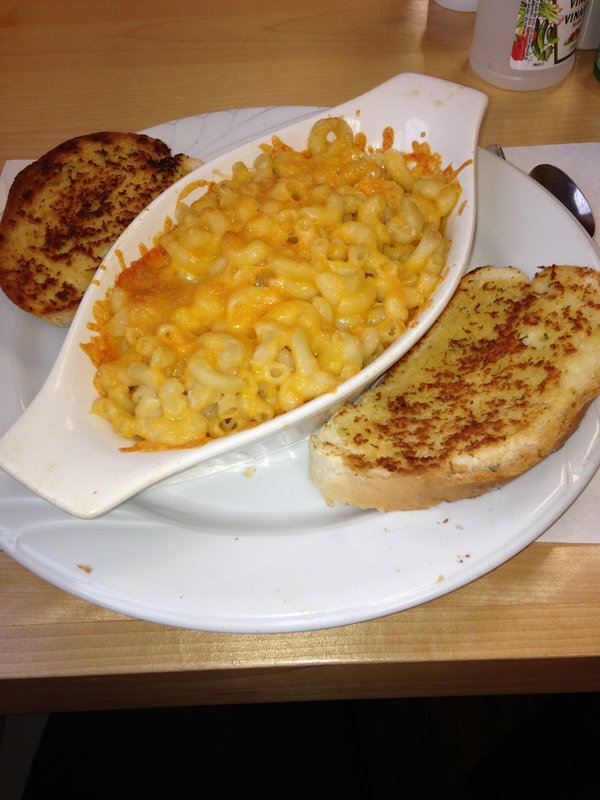 After being on the road a few days we yearn for comfort food, there is plenty to choose from. 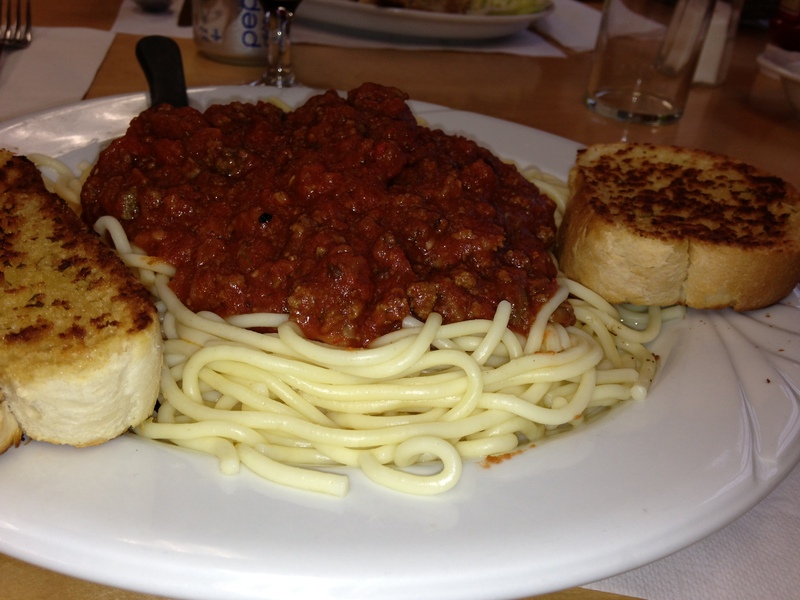 Especially the spaghetti with a meat sauce with peppers and mushrooms to help deepen the flavor. The garlic bread was, of course, made in house and accented the meal perfectly. I usually do not show or talk about what the other diners had to eat, but they were my family and were impressed with their meals too. My son Kaegan likes food simple , so he had a grill cheese sandwich and ate it before I could take a picture LOL. This pleasant discovery was a surprised and helped make our experience in Gander a good one! Now it is off to Eastport and a visit to the original Rosie’s. Travellers to Gander now have another solid restaurant to frequent, congrats! !